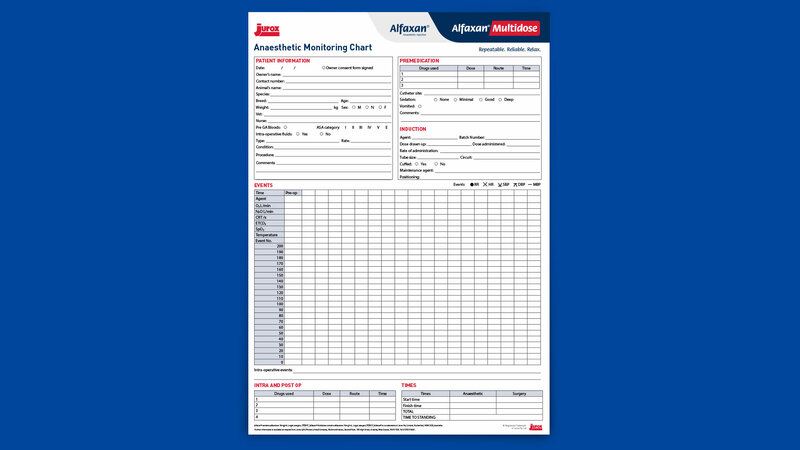 Request your copies of the Alfaxan monitoring chart. Specially designed pads of monitoring charts on which to record patient data. Available for Aflaxan customers. your copies of the monitoring chart. Position Veterinarian Vet Partner Qualified Vet Nurse Head Nurse Vet Nurse Student Other This is required. Agree to be contacted We will follow you up with a quick phone call to see if you have any questions about the resource or our products and services.